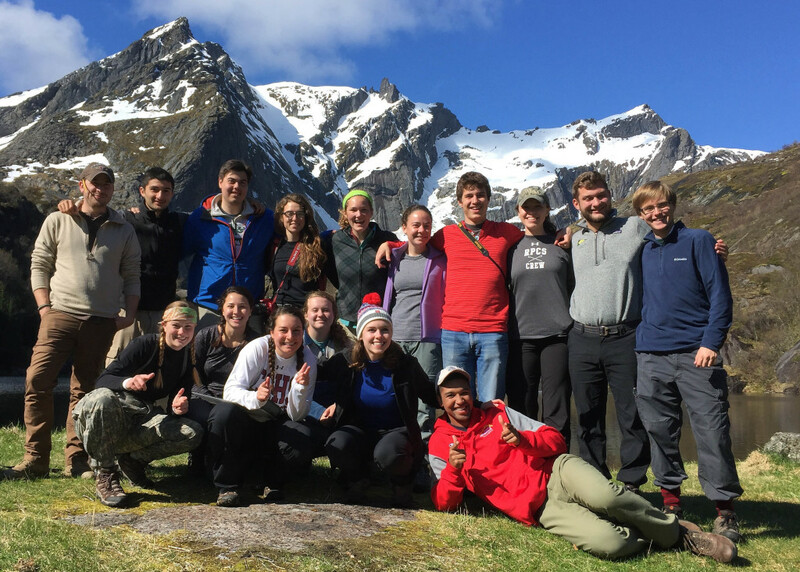 We’ve just finished our first William & Mary Geology 310 course to Norway. 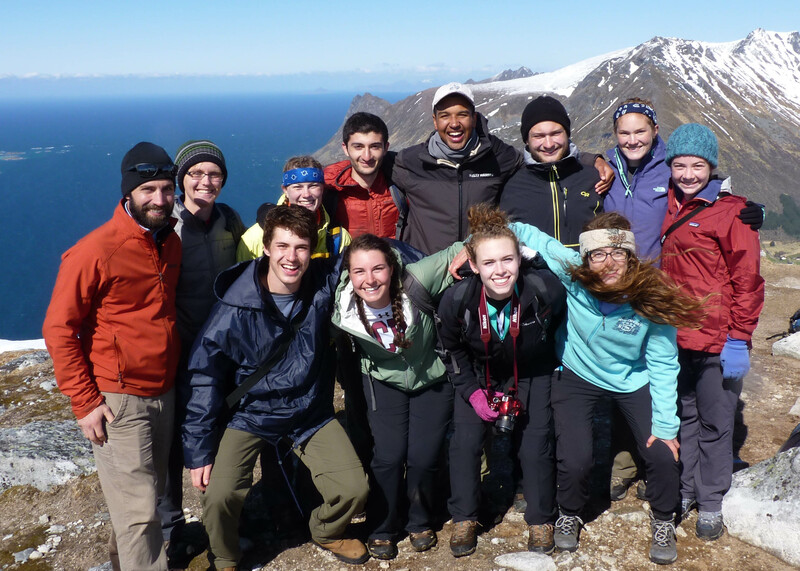 For 11 days, 16 students and two Geology faculty trekked around and over the Lofoten Islands. This post highlights the last half of our trip. 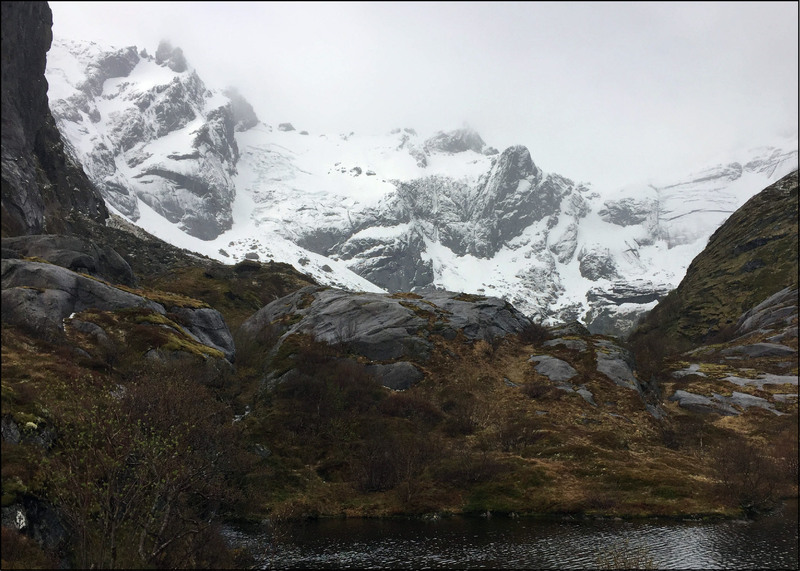 On Friday, May 26th we took our longest road trip from our base in Henningsvær journeying west ~40 kilometers to Flakstadøy. Our goal was to see eclogite. Eclogite is not a common rock at the Earth’s surface, it’s a metamorphic rock that forms at depths of >40 km (>25 miles) when basaltic rocks are subducted and endure tremendous pressure. At these depths the original igneous minerals are converted into pink garnet and greenish omphacite forming a distinctive, dense, and beautiful rock. In a dramatic valley above the equally scenic village of Nusfjord, eclogite is exposed in a set of shear zones that cut coarse-grained igneous rocks. To get to the shear zones we traversed around a set of picturesque glacial lakes and climbed into a steep valley framed on three sides by crags. 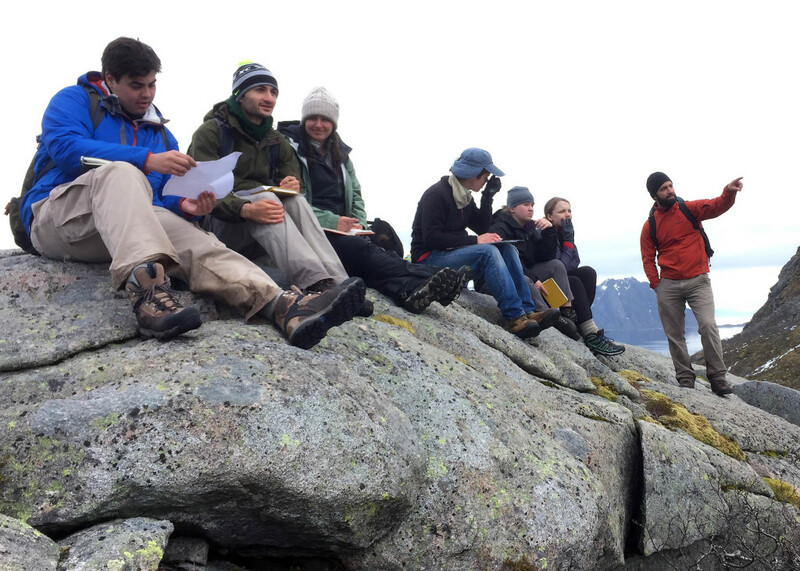 Posers – the 2017 Geology 310 students above Nusfjord, Flakstad, Norway. The weather during our first visit to Nusfjord was as good as it gets – blue sky, moderate temperatures, and a gentle breeze from the southeast. The rocks were well exposed and we had a glorious time. 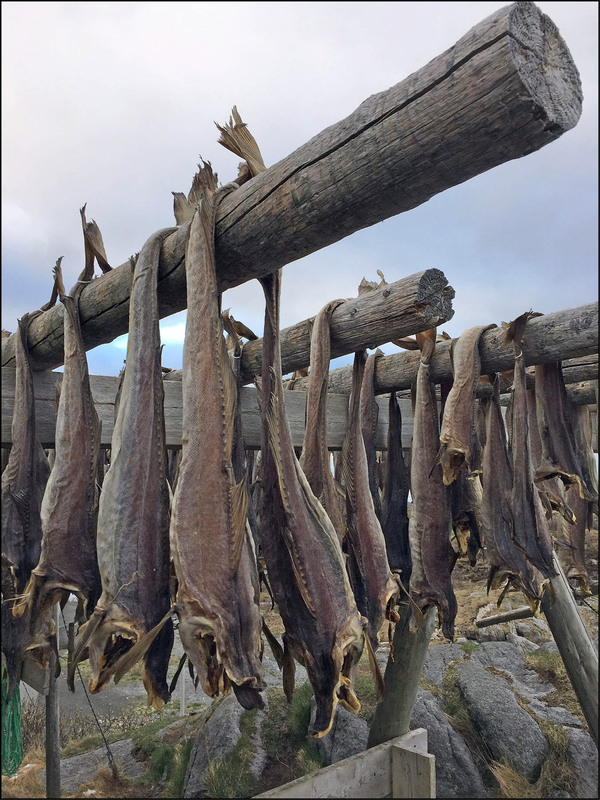 Other adventures during our last week included learning about cod and stockfish, one of Norway’s major export items for centuries. All over Lofoten the hjell (wooden drying racks) still held drying fish and their distinctive odor. View from the summit of Festvågtind (541 m) of Henningsvær and the surrounding skerries stretching towards Vestfjorden. View is to the southwest. 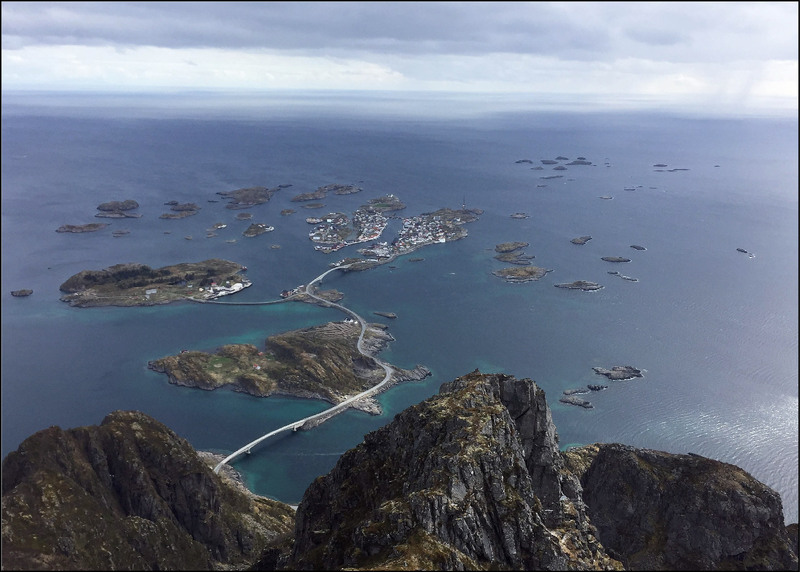 Henningsvær is quite the place, scattered across islands and skerries that dot the seascape, and served as home for our time in Norway. We learned of the changes to the village during the past century as it morphed from an isolated fishing village into a destination. There is still plenty of fishing going on here, and even Henningsvær’s football pitch is surrounded by hjell. One evening the Tribe journeyed to the pitch (a.k.a.- the Cod Bowl), and played a grueling and scrappy match with Team Chuckmenistan prevailing 5 to 2 over Team Nickpoint. 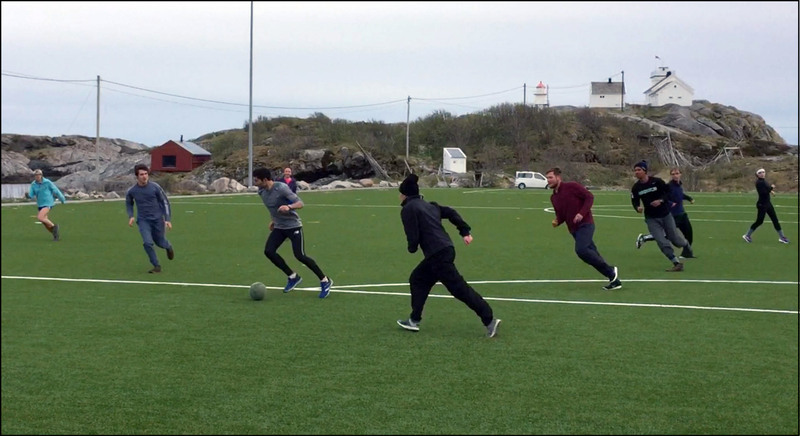 Tom Vinci pushes the ball forward during the Tribe football match at the Cod Bowl in Henningsvær. 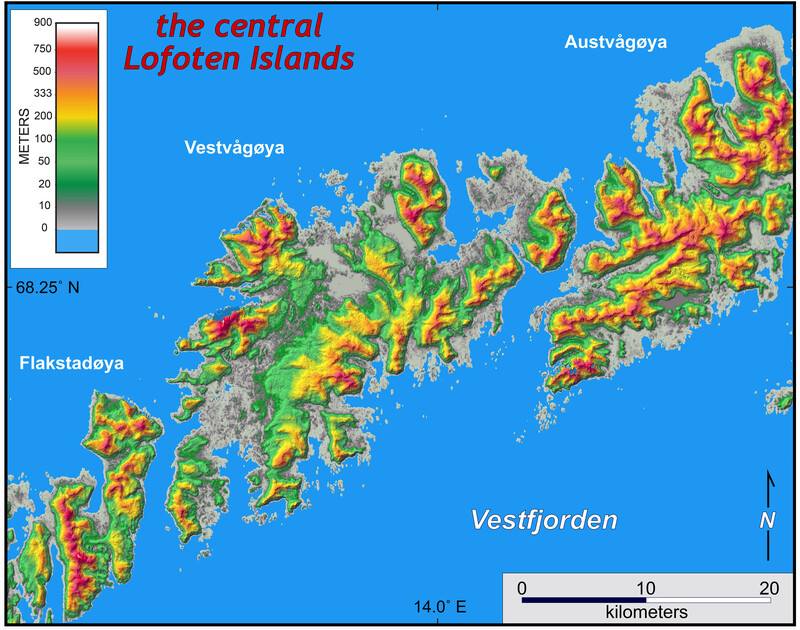 Our trip also involved research – Professor Nick Balascio and his research students cored a number of lakes in Lofoten prior to the main arrival of students; these sediment cores contain a long term record of both changing climate and human settlement in the archipelago. Katie Valery’s senior thesis is focused on the eclogites and associated shear zones at Nusfjord, and we stayed on for two extra days to complete our field work. 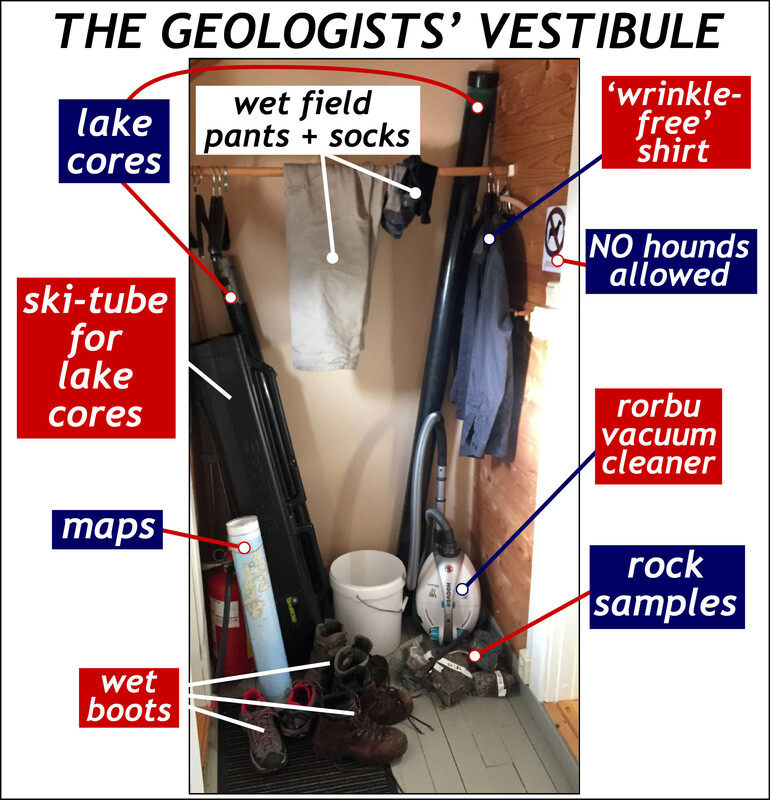 A motley collection in the vestibule of the faculty rorbu. 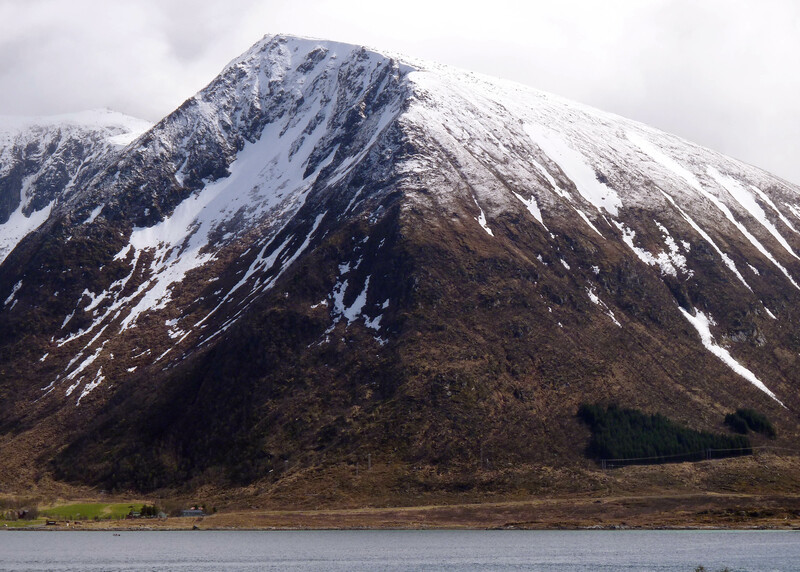 We were treated to less glorious weather upon our return to Nusfjord. Instead of blue sky, we experienced a north wind and worked under a shroud of low clouds that spit snow, sleet, and hail off-and-on for two days. The shear zones were at a low enough elevation, such that the snow which fell on the eclogite melted quickly enough, but cold and soggy conditions make for difficult field work. As Katie gamily noted – “this is what I expected of weather in the Arctic”, indeed the worst weather of the trip occurred during the last two days of May. Nevertheless, we mapped the shear zones in detail and Katie returned to the States with many kilograms of samples for further study. 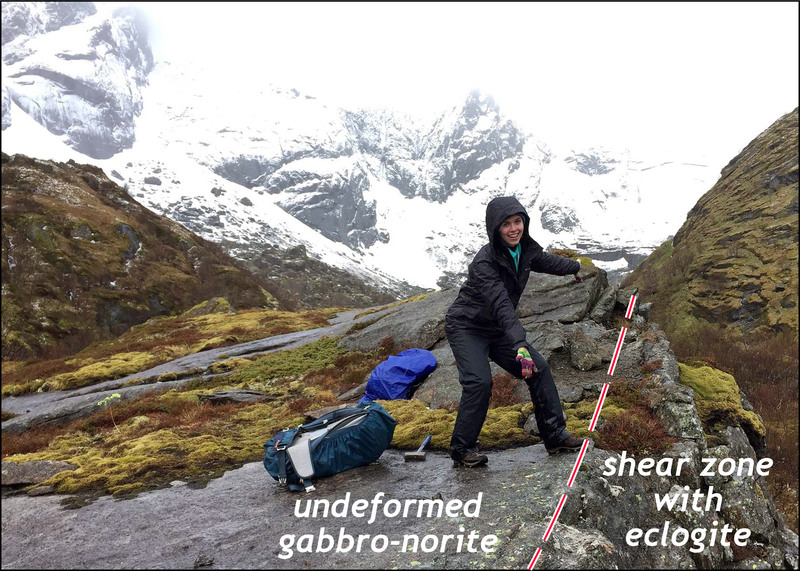 Katie Valery points out a shear zone boundary in the valley above Nusfjord. The valley above Nusfjord on May, 31st 2017. Compare this scene to the group picture at the beginning of this post taken four days earlier. In summary this was a great field course: our cadre of adventurous and engaged students were fabulous, and the setting was amazing. 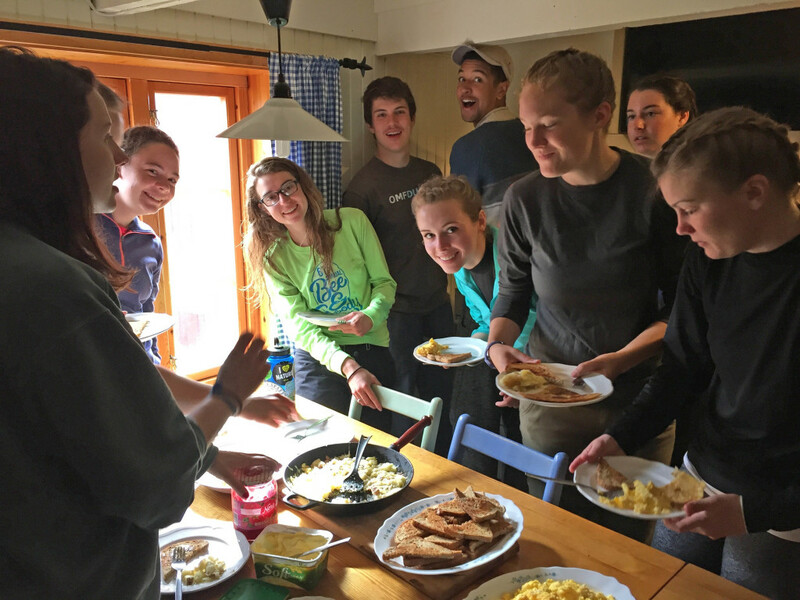 I hope the Norway trip becomes a regular component of our field course offerings. 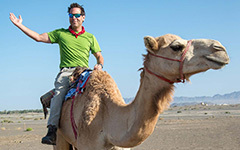 For students (and prospective students) consider this – geology is a great reason for travel and the William & Mary Geology Department is making international experiences happen (in the past year we’ve led trips to the Bahamas, Oman, and now Norway). Skål! Cheery people at our communal breakfast in the rorbu. Distant view of Kleppstadheia (534 m) rising above Gimsøystraumen. William & Mary geologists on the summit of Kleppstadheia on a bright and windy day. View to the north-northwest with the North Atlantic Ocean visible in the distance. 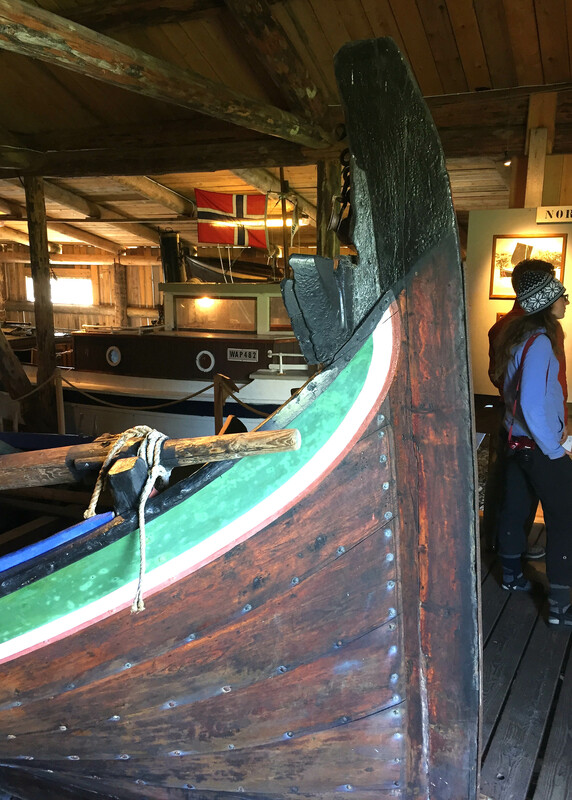 Early 20th century fishing boats at the Lofotmuseet. 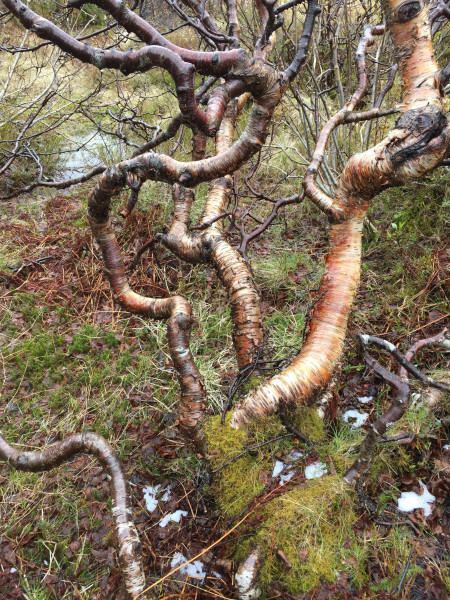 Twisted birch trees in a troll forest. Professor Balascio and the GeoSkerries discussing moraines.